Overcoming cultural differences: the direct approach. 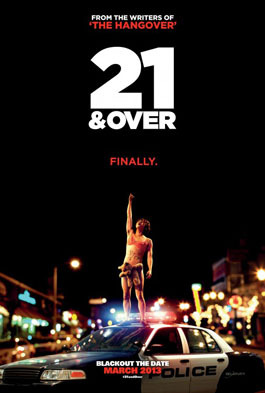 While fifty years of teen movies have effectively ensured that the entire Western world is now au fait with the idiosyncrasies of the American adolescent experience, the Brazilian distributor of 21 & Over has evidently decided that the United States’s draconian drinking laws are a cultural oddity too far, and renamed the film Finally 18. This may succeed in clarifying the film’s premise to a Brazilian audience, but won’t make Miles Teller, Skylar Astin and Justin Chon any more convincing in the lead roles, aged as they actually are 26, 25 and 31 respectively.